Sign Up for our newsletter and Get A Free Starter Guide. We get it. Food is so personal. But we’re big believers in progress (not perfection!) in your plant-based journey. Each time you dedicate even one meal a day to the planet, you’re making an investment in not just your future health, but the future of our children and the planet. OMD is designed to support you and be a source of inspiration as you try new recipes and learn about how you can be an advocate in your local community. Join the movement! Sign up for The OMD Beet for tips, school lunch program and restaurant campaign news and more. 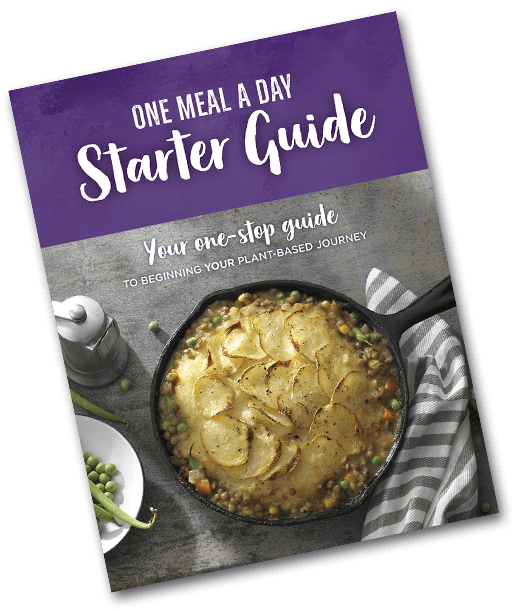 You’ll also get a free Starter Guide and an invitation to join our private Facebook group, OMD Insiders to support you as you explore shifting toward a more climate-friendly, plant-based lifestyle. We can all make a difference — one bite at a time! 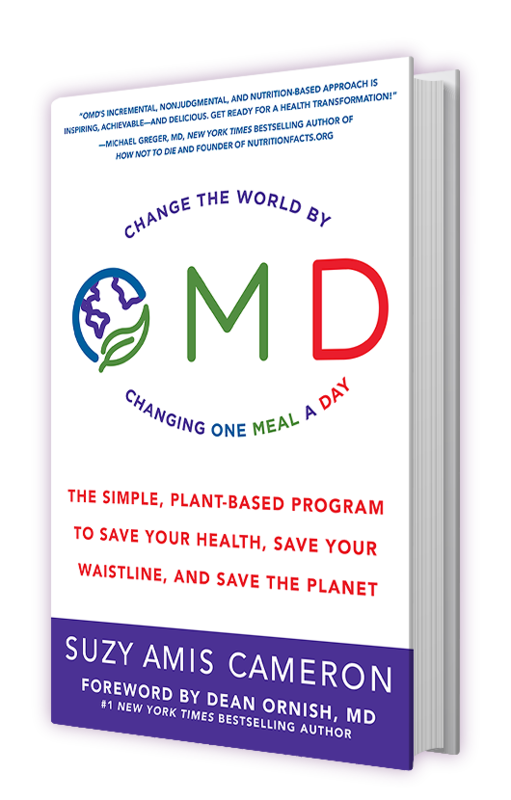 Choosing just one plant-based meal a day instead of eating meat or dairy is Suzy’s elegant solution to fight climate change and make a difference in your health. Now available, the OMD book shares her favorite tips, plant-based meal hacks and tools to navigate making this change in your life.